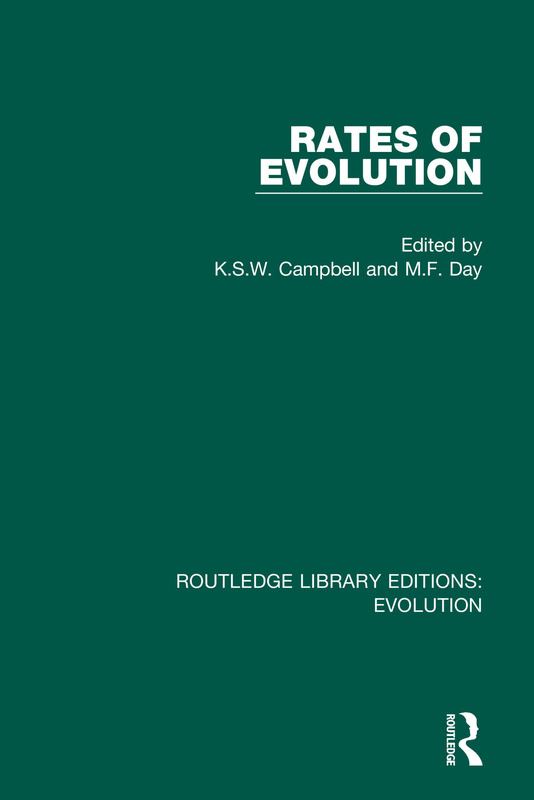 Originally published in 1987 Rates of Evolution is an edited collection drawn from a symposium convened to bring together palaeontologists, geneticists, molecular biologists and developmental biologists to examine some aspects of the problem of evolutionary rates. The book asks questions surrounding the study of evolution, such as did large morphological changes really occur rapidly at various times in the geological past, or is the fossil record too imperfect to be of value in assessing rates of morphological change? What is the measure of ‘rapid’ change? Is stasis at any taxonomic level established? Is it possible to relate genomic and morphological change? What is the role of regulatory and executive genes in controlling evolutionary change? Does the transfer of genetic material between different taxa provide the possibility of increasing evolutionary rates? Featuring contributions from leading researchers, this book will interest anthropologists, palaeontology and scientists of evolution and genetics.